 The Physician's Place in the ACO - ONRAD, Inc.
HealthLeadersMedia.com | November 15 – Now that healthcare reform has gone from a concept to a law, big changes are ahead for everyone associated with providing healthcare to Americans. But perhaps no other group will need to adapt more than physicians, many of whom fear that their independence will be curtailed and their influence will retreat. Coupled with that fear is the belief that patients will suffer as the “art” of medicine is replaced by standardization. Much of that standardization push can be boiled down to a desire by employers and the government to create so-called accountable care organizations, or ACOs, in the belief that better-organized, standardized care is better care, and that hospitals, physician practices, rehab centers—you name the healthcare organization—will deliver better care if it is coordinated, and if financial penalties or rewards accrue to those organizations producing better outcomes. But ACOs largely don’t exist yet—at least not in practice—because they haven’t yet been fully defined. The ACO model is but one of many demonstration projects that the federal government will conduct under the Patient Protection and Affordable Care Act of 2010, otherwise known as the health reform act. But let’s say it’s a demonstration project that has a lot of support from those who see current rates of medical inflation as unsustainable. Because the ACO has not been fully defined, there is some flexibility in its construction. And some organizations currently control many pieces of the continuum of care that will be essential to constructing the kinds of healthcare organizations policymakers say they want. Such health systems, which have been known colloquially as integrated and whose pieces communicate with each other about a single patient’s care, have been held up as examples of what government is seeking with ACOs. But such organizations are rare, chiefly because perverse economic incentives have made their combination economically nonsensical in a fee-for-service payment environment. ACOs will include confederations of doctors, specialists, and hospitals working together to administer payments, determine quality and safety benchmarks, measure performance, and distribute shared savings, according to a June 2010 report from the American Hospital Association. Still, as we enter a four-year transition into new payment methodologies on which long-term strategic decisions must be made, organizations are left with making little more than educated guesses about how they might become an ACO. Amid all this uncertainty, one thing does seem certain: The physician will play a key part—perhaps the key part—in whether such organizations are ultimately successful at removing waste from the healthcare payment system.